No one likes to think about getting older, but sadly it’s something we all have to deal with later in life. Getting older comes with its own unique set of challenges, including our physical health, ability and mental health. When our health starts deteriorating, we may need help and support to carry on living our daily lives. When that happens, there are care options available to help. But care is a complicated and sensitive subject, and many people have questions about elder care. This week, we want to help answer some of the most commonly asked questions about the care process. Do I Need To Live In A Care Home, Or Have Home Care? There are generally 2 types of care that the elderly can rely on when they become unable to live on their own. These are traditional care homes, or home care. While the might sound similar, they are very different. The key difference is the location – home care takes place in your own home, and involves a carer coming into your home to give you the support you need. But a care home (also known as residential care) is a facility you move to, where you have access to full time, round the clock care. Many people tend to move from home care into residential care as they get older and in home care becomes more difficult, rather than going straight to a residential care home. There are advantages to both kinds of care, so the choice between the two depends on your care requirements. With home care, you get to stay in your own familiar surroundings, avoid the stress of moving and maintain your independence, while a care home will be able to provide 24/7 tailored care to give you the best possible quality of life, and provide relief for your family. Each option will have different costs attached, but ultimately the decision is yours. Of course, permanent care isn’t cheap, especially if you require round the clock help. Very broadly speaking, if you have assets above £23,250 in value*, you will be classified as a self-funder. This means that you will be required to cover any care costs yourself, in full. It’s important to bear in mind that property can be included in this asset list, but not if a spouse or relative over the age of 60 lives there. However, there are still some help options available to you, like claiming attendance allowance, which is a weekly allowance awarded if you are physically or mentally disabled and over 65 years old. If you have assets below this limit (with the property limit in place), then you could be eligible for Local Authority funding on a sliding scale until your assets decrease to the lower threshold of £14,250, where you will get full Local Authority funding.. There are more than 430,000 people in the UK living in residential and nursing care homes. Of these adults, almost half are paying for their own care costs. The rest are offered some level of support, either wholly or partly, by local authority funding or NHS funding. To find out of you qualify, you can visit sites like this one, or call your local authority. Is There A Cap On Costs? At the moment, no. The government had intended to implement a new cap on social care costs. So if you lived in England, the highest cost of meeting the ‘eligible’ care needs for any individual would be £72,000. There was also to be an increase in the upper capital limit for means-tested support from £23,250 to £118,000. However, in July 2015, following lobbying from the Local Government Association (LGA), which represents councils, this cap was postponed until 2020. In fact, since then there have been talks of scrapping this together and replacing it with a £100,000 capital limit. So for now, watch this space! Incidentally, self-funding individuals can still cap their own care costs by purchasing an immediate or deferred care fees payment plan, if it’s affordable and appropriate. Is There Any Sort Of Funding? Depending on where you are located, you may be eligible for some form of local authority funding. Every authority is different, and will offer different levels of funding depending on your location, your financial means and your needs. If you think you might be eligible for care funding, you will first need to undergo a care needs assessment, which can be requested from the Adult Care Services department of your local authority. If you meet their eligibility criteria, then they will also do a financial assessment to calculate how much you can contribute, and how much they will need to top up to meet your needs. There is a cap on the amount they can offer in funding per individual, though it varies from authority to authority. Not all care homes will accept Local Authority funded placements, as the amount paid is typically much lower than their private fees. So some care home could request a further top up. What Happens If I Run Out Money Once I’ve Moved Into Care? If the money you’ve been using to fund your long term care is running out, you have a number of options. If you are self-funding and running low, the first thing you can do is find out if you are eligible for any type of funding from your local authority using the steps above. You can also look into NHS Continuing Care funding, which can cover accommodation costs in homes that provide care, or contribute towards care costs if you stay at home. If you are staying at home, moving to a smaller property that better suits your needs may free up some funds to pay for care. You can also apply for attendance allowance, which will give you a weekly stipend that could help top up costs. The important thing to know is that you don’t need to worry about losing your place in your care home. There are plenty of options available to keep you in a place that meets your needs, and care homes aren’t in the habit of evicting residents who are struggling. Check your care home contract, and then check the local resources for help. 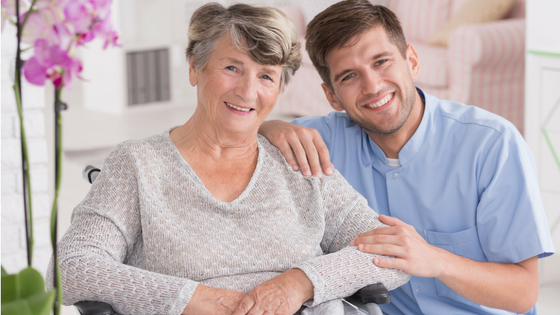 At Edmunds and Eve, we have years of experience with elder law, and in particular helping the elderly understand their care needs and how to accommodate them. We specialise in creating elder care plans that can lay out exactly what you might need later in life and put plans in place to provide for it. Our experts can help you understand exactly what you need to be planning for in your later years, and help you put those plans in legally binding writing. And because we take the time to really get to know you, your family and your unique circumstances, we can provide you with a detailed and personal elder care plan that ensures your wishes will be followed later in life. For more information, just get in touch with us today. *Correct a time of writing, November 2017 – note: This is a general outline of the care rules, and in certain details have been excluded for simplicity. Please feel free to call to discuss how this affects you. Previous post: Funeral Plans – Are They Worth It? Next post: Do I Need A Will If I’m Married?